Portales, NM – Governor Michelle Lujan Grisham’s Office contacted New Mexico Counties to facilitate a conference call with representatives from county commissions on Friday. All 33 counties were invited to participate, and Roosevelt County was one of several on the call. Roosevelt County Chair Shane Lee and Vice Chair Matthew Hunton both received an invitation to participate. The call was informational in nature, and the Governor said a similar call with cities was scheduled in the following week. 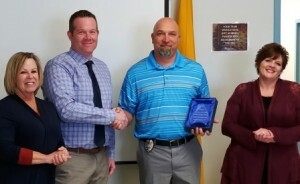 Roosevelt County, New Mexico was selected as Wellpath’s Southwest facility of the month for being a true partner. Together, they strive to provide exceptional heal our patient population. This challenging environment takes a team approach from all that work within the correctional environment. The Roosevelt County Detention Center leadership team works closely with the medical leadership team to improve the health and well being of our patients. All staff at Roosevelt County has embodied our slogan “To hope and healing.” An example of this commitment to hope and healing took place on the evening of December 24, 2018. Michelle Gray, RN was conducting intake screenings within the jail when a detainee quickly started showing signs and symptoms of active opiate overdose. Michelle and Lieutenant Vigil acted quickly to start the Narcan overdose protocol and delivered lifesaving care while waiting for EMS. Without question, their training and teamwork saved this individual’s life. County Manager Amber Hamilton and NM State Auditor Brian Colón. SANTA FE, NM – New Mexico Counties and State Auditor Brian Colón selected Doña Ana, San Juan, Chaves, Curry, Lincoln, McKinley, Roosevelt, Guadalupe, Los Alamos, and Harding Counties for the annual Audit and Accountability Awards that were presented at the NMC Legislative Conference Thursday, January 17, 2019. In addition, a new award was given to the county that performs with continued audit excellence. The awards are given in recognition to large, mid-size, and small counties along with the most improved county, that have done outstanding work on their audits, submitted their audits in a timely manner, and have sustained excellence with the highest audit opinions. An unmodified opinion is the best opinion that can be given, and means that the financial statements are presented fairly in accordance with generally accepted accounting principles. Portales, NM – The Roosevelt County Board of Commissioners, Sheriff’s Office and Road Department have noted an uptick in illegal dumping and are asking residents to assist in curbing this problem. Illegal dumping can create serious environmental concerns and threaten natural resources. If anyone has any information or has seen any illegal dumping, please contact the Roosevelt County Sheriff’s Office at 575.356.4408 or CrimeStoppers at 575.356.8100. CrimeStoppers is offering a reward of up to $500 for information leading to charges and the conviction of any person dumping illegally in the County or City. A person can be charged with a misdemeanor for littering and fined up to $300 if convicted, as well as being required to clean up the refuse or restitution may be sought. The City of Portales operates the Convenience Center, 1230 N Avon, at the corner of Kaywood and Avon Streets. All commercial, county residents and those not paying for City garbage services are charged a tipping fee. The Convenience Center hours of operation are Monday – Friday 8 am to 4:30 pm and Saturday – Sunday 1 p.m. – 4:30 p.m., and closed on holidays. For more information on the Convenience Center call 575.356.8664. The County plans to begin mapping and actively tracking illegal dump sites. To report an illegal dump site within the County, please contact the Administrative Offices at 356.5307. PORTALES — A petition seeking the recall of Roosevelt County Sheriff Malin Parker was stopped by a district court judge Tuesday. The petition, submitted by Portales attorney Eric Dixon on behalf of criminal defendants Cody Banister and Armando Pena, as well as the mother of a woman killed in a car chase involving police, was denied in a hearing in the Roosevelt County Courthouse. The hearing gave Dixon a chance to prove that Parker intentionally made false statements regarding the reliability of an informant who led to the arrests of Pena and Banister. Roosevelt County Attorney Randy Knudson, representing Parker, filed a motion to dismiss the petition, which was granted by Judge Fred Van Soelen. “The petition process, case law states, is not to be used as a means of harassment for purely political or personal reasons,” Van Soelen said. Van Soelen noted that the petitioners all have pending criminal charges as a result of Parker or are related to people who do. The Roosevelt County Road Department will be chip sealing South Roosevelt Road 6 between Kilgore and New Mexico 88 beginning on Wednesday, May 24, 2017 weather permitting. Chip sealing work will continue to South Roosevelt Road 4 between Kilgore and South Roosevelt Road P; and South Roosevelt Road 3 between NM 467 and South Roosevelt Road S. This work is anticipated to be completed by June 8, 2017. Motorists will be encouraged to seek alternative routes and will be asked to slow down through the construction zone. You can contact County Administration at 356-5307 if you need additional information. The Roosevelt County Road Department will be chip sealing South Roosevelt Road 8 between South Roosevelt Road G and New Mexico 88, on Thursday, May 18, 2017. Motorists are encouraged to seek alternative routes and will be asked to slow down through the construction zone. You can contact County Administration at 356-5307 if you need additional information. The Roosevelt County Road Department will be chip sealing South Roosevelt Road 12 between South Roosevelt Road P and New Mexico 206, beginning Tuesday, May 16, 2017. The road work is projected to be completed by Wednesday, May 17, 2017. Motorists are encouraged to seek alternative routes and will be asked to slow down through the construction zone. You can contact County Administration at 356-5307 if you need additional information. Portales, NM – Roosevelt County Commissioner Dennis Lopez will represent Roosevelt County on the New Mexico Association of Counties Board of Directors. County Clerk DeAun Searl said Lopez will serve a two-year term beginning June 23, 2017 representing the County during association board meetings. The association is a nonprofit, nonpartisan organization formed in 1968 to promote the interest of county governments. 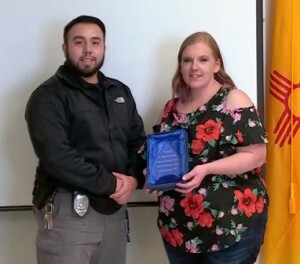 Roosevelt County Manager Amber Hamilton has been appointed to the New Mexico Adult Detention Professional Standards Program Council. The New Mexico Adult Detention Professional Standards program is a joint initiative of the New Mexico Association of Counties and the New Mexico Municipal League. The council oversees and monitors New Mexico County Detention Standards, which consists of 208 standards in the following areas of operations: Security, Medical, Detainee Programs, Physical Plant, Safety and Sanitation, and Administration. The council’s functions are to ensure New Mexico County Detention Centers are meeting Detention Standards; and provide an accreditation program consisting of an auditing process for detention facilities to include assistance and resources on meeting the 208 operating standards. Facilities must pass the initial accreditation audit followed by a renewal accreditation audit every three years. “Through my involvement at the Roosevelt County Detention Center, I’ve developed a passion and deep appreciation for detention. The team worked diligently to earn this accreditation for Roosevelt County and I was fortunate to be involved in the process. I’ve learned so much and felt it would be a great time to get involved at the state level,” stated Hamilton. 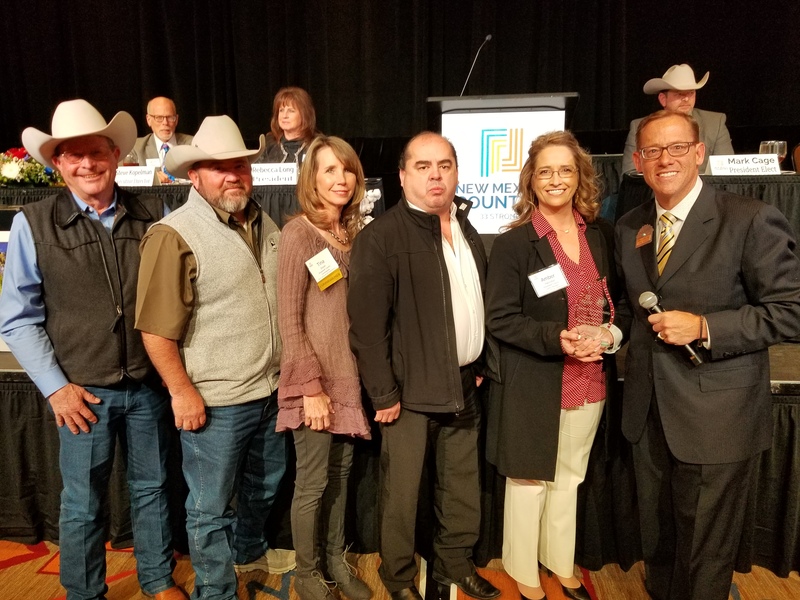 Roosevelt County received their initial three year accreditation during the New Mexico Association of Counties Legislative Conference in January. “Because of the dedication of the Detention team and our County Manager’s leadership, they earned this accreditation. This appointment reflects Amber’s ability and hard work and we are very blessed to have her,” stated Commission Chairman Paul Grider. Please contact Roosevelt County Administration offices at 575.356.5307 for more information. The Roosevelt County Road Department will be closing Spruce Street from US Highway 70 to North Boston as Burlington Northern Santa Fe will be doing maintenance. The crossing will be closed from 9 a.m. to 3 p.m. on Tuesday April 18, 2017. Motorists will need to seek alternative routes. You can contact County Administration at 356-5307 if you need additional information. Roosevelt County Manager Amber Hamilton has been selected to service on the Statewide Juvenile Justice Initiative Task Force. The Task Force convened its first meeting April 13, 2017 in Albuquerque, and anticipates meeting two additional times in 2017. Hamilton added she will be reaching out to other County Managers, elected officials and various individuals throughout Eastern New Mexico to explain the purpose of this task force and seek their input for this process. ALBUQUERQUE — Today, New Mexico Supreme Court Justice Barbara J. Vigil joined Children, Youth and Families Secretary Monique Jacobson, and leaders from all three branches of government to announce the launch of the Juvenile Justice Improvement Initiative Taskforce which will perform a comprehensive review of New Mexico’s juvenile justice system in an effort to strengthen public safety and improve outcomes for youth in the state. The Roosevelt County Road Department will be working on South Roosevelt Road 12 between South Roosevelt Road P and New Mexico 206, beginning Wednesday, April 12, 2017. The road work is projected to be completed by May 3, 2017. Motorists are encouraged to seek alternative routes and will be asked to slow down through the construction zone. You can contact County Administration at 356-5307 if you need additional information. Portales, NM – The Roosevelt County Board of Commissioners is pleased to give the public notice that the Honorable United States District Judge James O. Browning on March 13, 2017 dismissed former Roosevelt County employee Keith Parrish’s federal claims in his lawsuit against Roosevelt County. Mr. Parrish asserted federal claims pursuant to the Fair Labor Standards Act which were dismissed with prejudice, thereby determining that the claims were without merit. Portales, NM – Roosevelt County Administration notifies the public that the Petition to Remove Roosevelt County Sheriff Malin Parker in its opinion is a frivolous action which has been filed by attorney Eric Dixon without legal basis or justification. Allegations which form the basis of the Petition were thoroughly investigated by an impartial and independent law enforcement agency which cleared Sheriff Malin Parker of any wrongdoing. Fifth Judicial District Attorney Dianna Luce concluded after reviewing all of the information surrounding these allegations that there was no basis to pursue any cause of action against Sheriff Parker. In addition, the New Mexico statutes relied upon by Mr. Dixon in filing his frivolous Petition contemplate that the action is initiated by presentment to the grand jury which did not occur in this case.